Blacksn0w arrives on 3 November, 2009 a day earlier than promised. Seems Geohot couldn’t contain the excitement; and how could he, as thousands of Geohot fans wait with great anticipation the launch of iPhone 3G and iPhone 3GS unlock tool – Blacksn0w. Wonder, if the dev team is feeling jealous of someone else stealing the thunder and appreciation (err moolah…err donation). 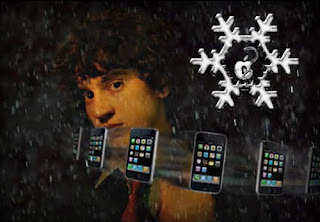 George Hotz, aka Geohot had earlier announced that Blacksn0w is the unlocking tool for the iPhone 3.1.2 baseband 05.11.07; and with the help of this new Blackra1n RC3 jail breaking tool, iPhone users can update to unlock their baseband in iPhone OS 3.1.2 and 'hacktivate' it. It is very important to know and befriend a tool to utilize its full potential in a positive manner. Studies have shown that Blacksn0w caters to iPhone owners with 3.1.2 firmware and 04.26 baseband, who can now without any problems unlock their iPhone to the latest baseband. However, the most effective part of unlocking the baseband version is that it makes the iPhone compatible with any mobile carrier. Geohot have further clarified that users updating to 05.11.07 baseband might not get to see anything substantially new on their jailbreak iphone. Yet, caution has to be taken since the baseband once updated, cannot be downgraded to prior versions. Blacksn0w is applicable via Blackra1n – the application that jailbreaks iPhone devices faster than other tool. Once your iPhone is jailbroken, you can tap the Blackra1n icon and install Cydia, Rock and Blacksn0w packages. This unlock is available for free and will work only for 3GS. If you need any assistance and knowledge support on iphone unlocking and jailbreak iphone, you may check out easyiphoneunlocking.com for reliable services.